Greetings from Perth, Western Australia and welcome to Perth International College of English. It is my belief that the quality of classroom teaching will always be the best indicator of any successful English Language school. The priority relationship must be the one between student and teacher. It is our commitment at PICE to make sure that this relationship is the prime focus for us all. Combining the expert skills of our teachers with the friendly helpfulness of our counselling and administration staff, students can be confident that they will experience personalised attention second to none. At P.I.C.E we clearly understand that the quality of the staff reflects our reputation. As Director it is my commitment to you to provide the very best of facilities, the very best homestays and the very best supportive learning environment for students. 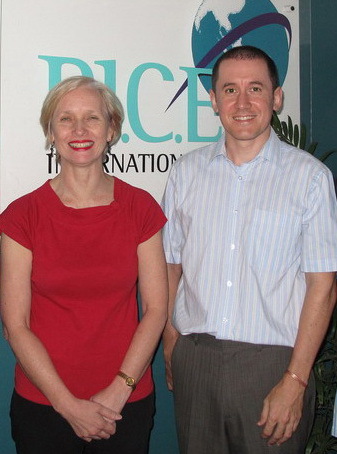 I truly look forward to welcoming you to PICE and invite you to an experience of a lifetime.